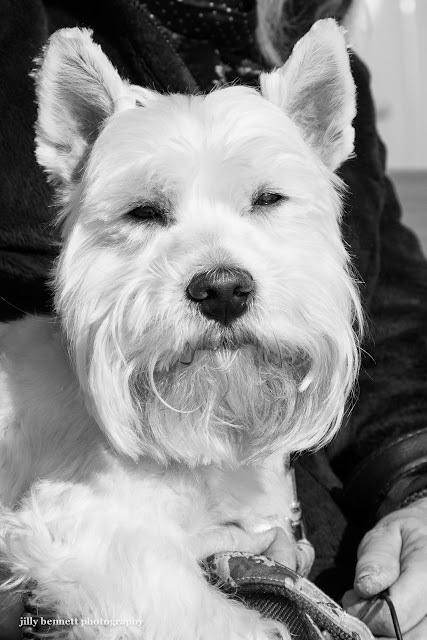 Benny is an immaculate 5 year old white Scottish terrier. who I passed on the way to the Fete du Citron in Menton. Of course I had to stop and chat to him and his owners as they rested on a bench by the sea. Benny and his family live in Luxembourg and are in Menton for the festival. I thought he was a Westie with a long foreface and understood his owners to say he was a Westie but am now assuming I'm wrong, so have changed the words here. Benny looks so content and laid back. Glad you stopped for a photo and a chat. 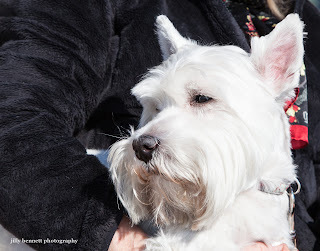 Jilly --- I think he is a white scotty ???? That nose is too long for a Westie . Someone on my Facebook page said exactly the same Lady Jicky. I thought they told me he was a Westie, so I just assumed he had a long face. Now I'm thinking I misunderstood what they told me, so have changed it. Will also write on the Facebook page. Hi, Jilly, I have Westies and he looks like a Westie with a Scottie cut...much more distinguished looking than normal Westie cuts. Whatever he is, he is a sweetheart!!!! Your dog is Westie crossed with a Schnauzer. 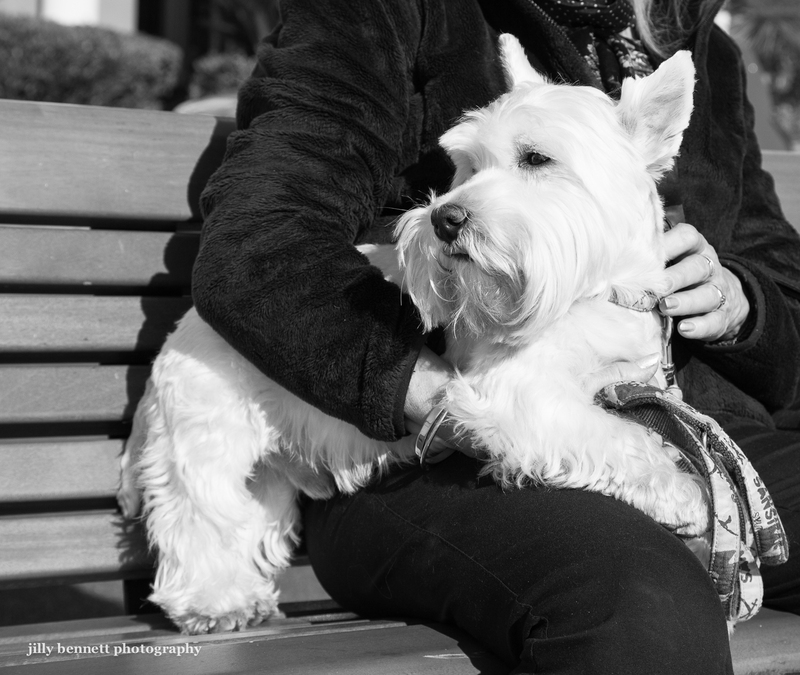 There is definitely a Schnauzer inside that Westie. Beautifu dog... absolutely adorable - and very precious too. There is no greater love than the love that comes from a dog. Love is all they know.